John Daversa Sweeps Three Categories For American Dreamers Voice Of Hope Music And Freedom With Daca Artists; Dafnis Prieto Wins Best Latin Jazz Album For Back To The Sunset; Nominee Craig Morris Performs at Premier Ceremony; and Lansing McLoskey’s Composition of Zealot Canticles Wins Best Choral Performance for Choral Group The Crossing. The Frost School of Music at the University of Miami’s faculty, alumni and students played a starring role in the 2019 Grammy Awards. We are proud to announce the esteemed members of our faculty who were honored with the coveted award Sunday, Feb. 10 in Los Angeles at the 2019 Grammy awards ceremony. Dafnis Prieto – Frost School of Music Drums/Asst. Professor Prof. Practice received Best Latin Jazz Album Grammy Award for (Back To The Sunset ) In commenting Dafnis “thanked the Academy for this recognition, congratulated all the musicians who played on the album, and thanked his friends, family and colleagues at the Frost School of Music for all their support! Craig Morris/Associate Professor of Trumpet/Chamber Music Coach was nominated for Best Instrumental Classical Performance of Philp Glass: “Three Pieces In the Shape of A Square.” Although Craig was not the Grammy recipient he was selected as the only classical performer to appear on the Grammy premier ceremony. 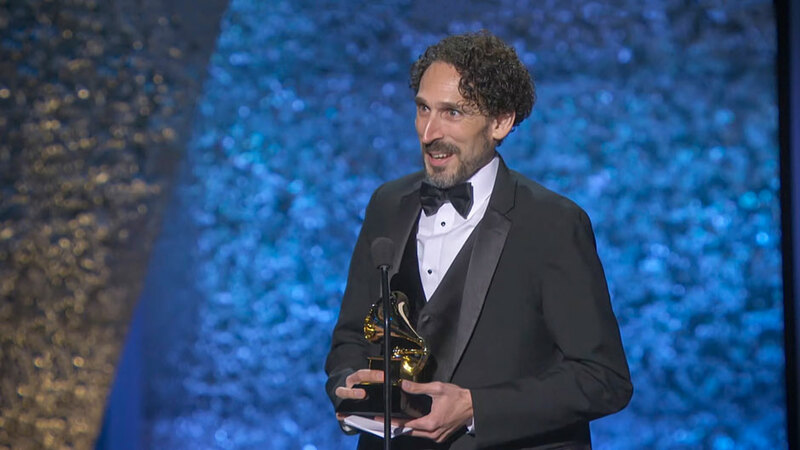 Lansing McLoskey/Professor of Composition—Choral Croup The Crossing won a Grammy for Best Choral Performance for the album McLoskey: Zealot Canticles. The album is a monumental and moving work composed by Professor McLoskey. In addition, 23 Frost faculty, students and alumni participated in recordings that received Grammy Awards, including alumni Kenneth D. Fuchs whose composition Piano Concerto “Spiritualist: Poems of Life” was awarded the Grammy for Best Classical Compendium.